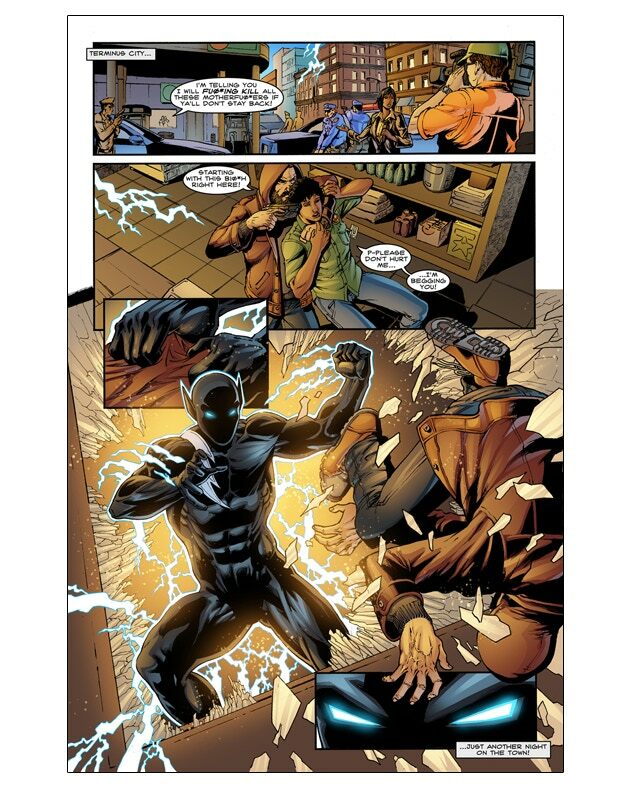 Comic Frontline: Kickstart the Week(end) with Stealth Comic Book Series Launch! 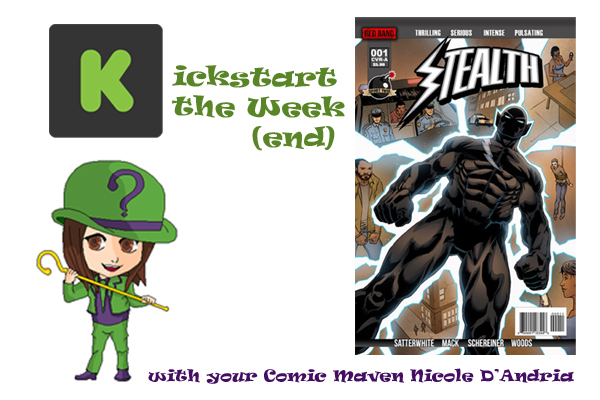 Kickstart the Week(end) with Stealth Comic Book Series Launch! Short Fuse Media has published numerous titles that we’ve covered before on Comic Frontline, including our very own Comic Uno’s series Like Father, Like Daughter as well as superhero series like Nightwasp. Now we have another superhero series, Stealth, which marks the beginning of Short Fuse Media’s new division of comics, Red Band! 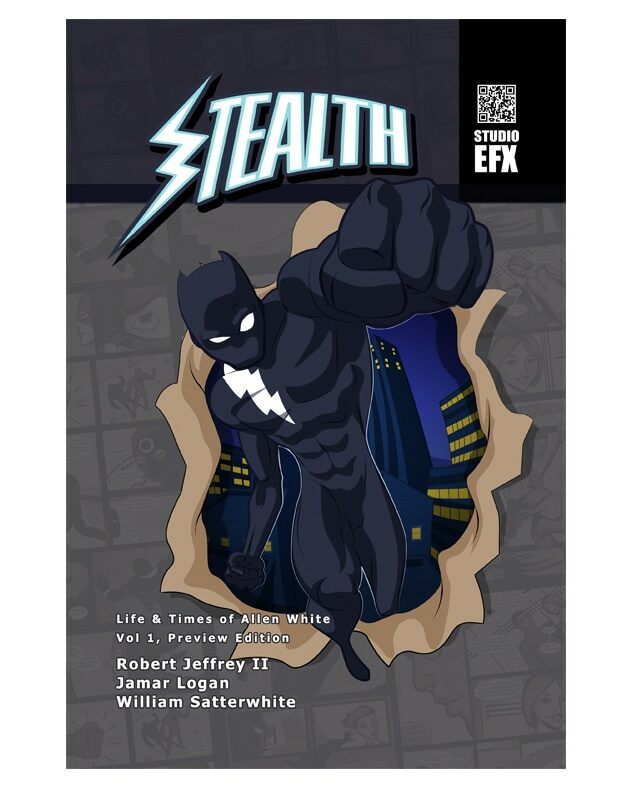 Stealth follows the adventures of Allen White, a teacher by day and a vigilante by night in Terminus City. Publisher Sean Mack of Short Fuse Media is writing the plots and series creator William Satterwhite is doing the dialogue and letters.The art team includes Caius Schereiner on pencils/inks and Michael Woods on colors. The creators are looking to reach their $4,000 by May 20, 2018 at 5:00 PM EDT. The funding will go toward producing new issues of the ongoing Stealth comic book series. 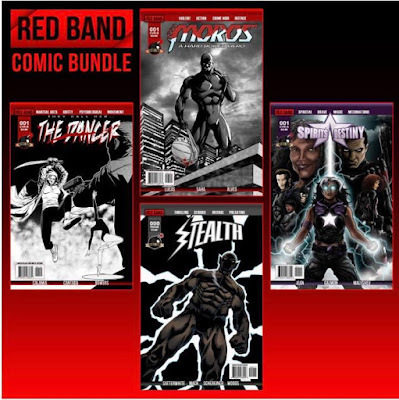 Rewards include digital and print issues from the Stealth series ($5+) as well as the Red Band digital ($10) and printed ($20) bundle, which includes numerous Short Fuse Media titles. You can check out the rest of their awards on their Kickstarter here. 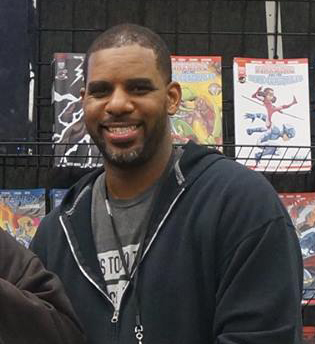 I spoke with writers Sean Mack and William Satterwhite about Stealth and the future of the Red Band division of titles from Short Fuse Media. Me: How would you describe Allen White’s character and his double-life as both a teacher and a vigilante? Satterwhite: Allen is very intelligent and highly perceptive, which is kind of a gift and a curse. He’s the kind of person who, for good or bad, often overthinks everything. The Stealth alter-ego is kind of his outlet to just not think things through as much, which again has both good and bad connotations. Coming from something of a privileged background he, like his older brother before him, has a strong sense of wanting to give back so to speak, which leads to his pulling some strings and putting together the STEM magnet program he teaches at his old high school. Me: What can you tell us about the obstacles Allen will be facing, both in the classroom and as Stealth? Satterwhite: One of the main obstacles, I think, is just life in general—here he is as a 22-23 year old guy just out of college and making his way in the world. That’s one of the things I tried touching on in this first issue in one scene in particular where he and another character are having a conversation and she has to break it down to him that at this point in their lives perhaps more than any other point they are not necessarily in places where they have full control and have to make compromises they would prefer not to have to make. In a sense this will extend to both his day job and night job, so to speak, as he has to deal with forces very much beyond his control even as a vigilante—it’s one thing to be out fighting crime when the police tolerate you, but what happens if you cross their line having known nothing but support? a bit smarter than most would give them credit for, which is something that is going to affect both of his world’s as well. Me: With Sean writing the plots and William writing the dialog, what does a typical session of collaborating together on Stealth look like? Mack: The process was pretty simple, I think. (You’d have to ask William if he wanted to kill me at any point during the process though. LOL.) I wrote an outline of what I felt should take place in the story scene by scene and turned it over to William. William then fleshed out the scenes a bit and added dialog that fit within what he had already established in the series. Me: You previously worked with multiple charitable organizations to donate copies of Stealth #0 to kids. How did this event go and what was the overall effect that you saw? Mack: Hero Nation Ypsilanti is based pretty close to our home office in Michigan. I was aware that they had completed a crowdfunding initiative to send a ton of kids to see the Black Panther movie, but then it was brought to my attention that Lion Forge was donating books to the event. Being that Short Fuse is local to Hero Nation, I felt it made sense for us to help out. Once announcements were made that we were helping out with the Hero Nation event, we began receiving requests from other organizations like Mighty Jon to help out as well. I even had the pleasure of doing a few speaking engagements at some of the youth screenings that we participated in and the kids seemed really into it. The best response was from the parents though as we received a ton of contacts that offered support to what we are building with Stealth as well as Short Fuse Media as a whole. Me: This title is spearheading your Red Band division of titles. What can you tell us about Red Band and Stealth’s future in it? Mack: Stealth will be the standard of what can be expected for titles that appear in our Red Band division. We wanted to have a division where the stories were a bit grittier as well as a bit more grounded in the real world. 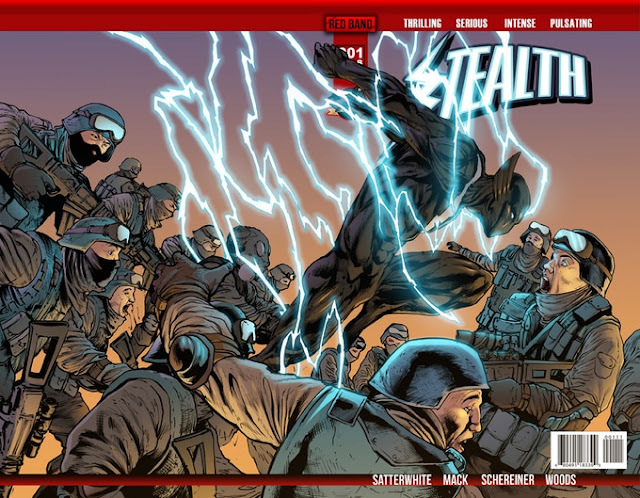 What’s interesting to note is that Stealth is the first title on our roster that features appearances from other characters across our entire publishing roster. So that alone should show just how important Stealth is to the future of not only the Red Band division but to Short Fuse Media Group overall. Me: Could you describe a few of the titles in detail that are available in the Red Band Digital Bundle? Mack: The Red Band bundle will include a single digital comic from each title on the Red Band roster (including Stealth #1 of course). Moros (#1) tells the story of a detective in Bay City that uses an illegal drug to clean up crime in his city. Knight Hunter (#0) explores how a young man named Trent comes to have powers that can potentially kill him if he uses them. Spirit’s Destiny (#1) focuses on a young Haitian lady who makes a fatal decision that will thrust her into a spiritual war with evil forces pulling at her from inside of her and outside. Finally we have They Call Her...The Dancer (#1), which gives us a look at Mia, a ballet dancer with a dark past and a superb skill set in martial arts who wants to effect change in people’s lives the only way she can...by eliminating evil people. Me: Can you tell us more about your #WeAlwaysDeliver Campaign Promise and how you’re able to achieve this? 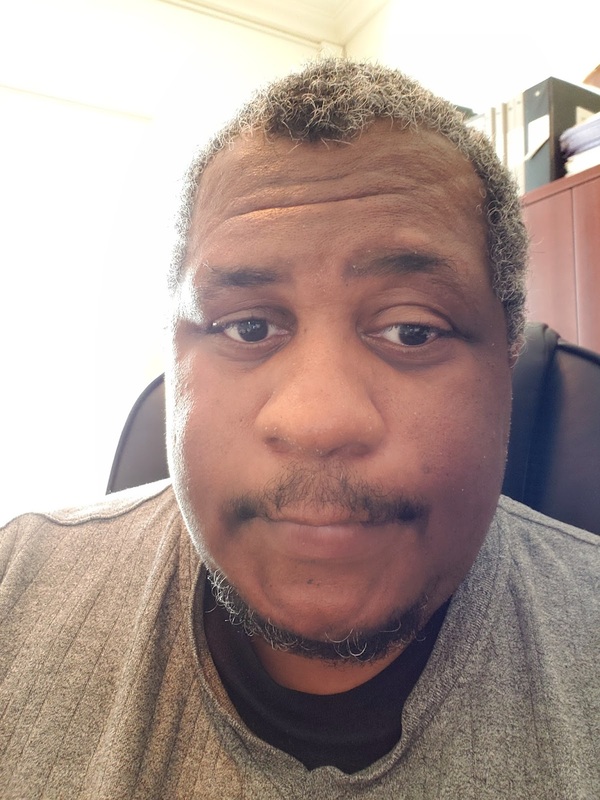 Mack: Being an indie publisher, one of the drawbacks that separate us from the major publishers is having the resources to consistently produce and release product. Platforms like Kickstarter have helped balance those drawbacks a bit as it affords creators the opportunity to bypass third parties, collect funds in a pre-order format and deliver directly to consumers. But we don’t live in a perfect world where everyone uses these platforms responsibly. To that end we began our #WeAlwaysDeliver campaign promise. It’s basically our way of letting new supporters know while also reminding previous supporters that historically we have always delivered on the promises of our campaigns. To do this, we produce our projects prior to the campaign even starting. That way, as the projects near or surpass the funding goal, which we use to recoup production expenses, we send the projects off to the printer so that when the campaign is complete, we should already have the prints and additional rewards back and we can immediately begin fulfilling rewards for supporters as long as their pledge has cleared. We’ve used this strategy on our last four campaigns and it has worked really well with great feedback from our supporters. Me: What is the number one reason why you think someone should pledge Stealth? Mack: Because it’s AWESOME!!! The artwork is amazing and the story is top notch. But at the same time, it provides a different take on some truly classic tropes while showing how those tropes are relevant in today’s social climate. Satterwhite: I grew up in the Jordan/Nike era so I have what amounts to a stock answer here—just do it. With the internet being what it is and all of the tools available to publish material, I would say there is no excuse for a writer with stories to tell to not be hooked up with an artist and to not be doing at least a webcomic. Yes it’s going to be hard to stand out from the pack but it’s easier to stand out with something than it is with nothing. Me: Thank you for taking the time to let us know more about the world of Stealth and Short Fuse Media. If you’re reading this and interested in checking out the campaign, you can see it here.